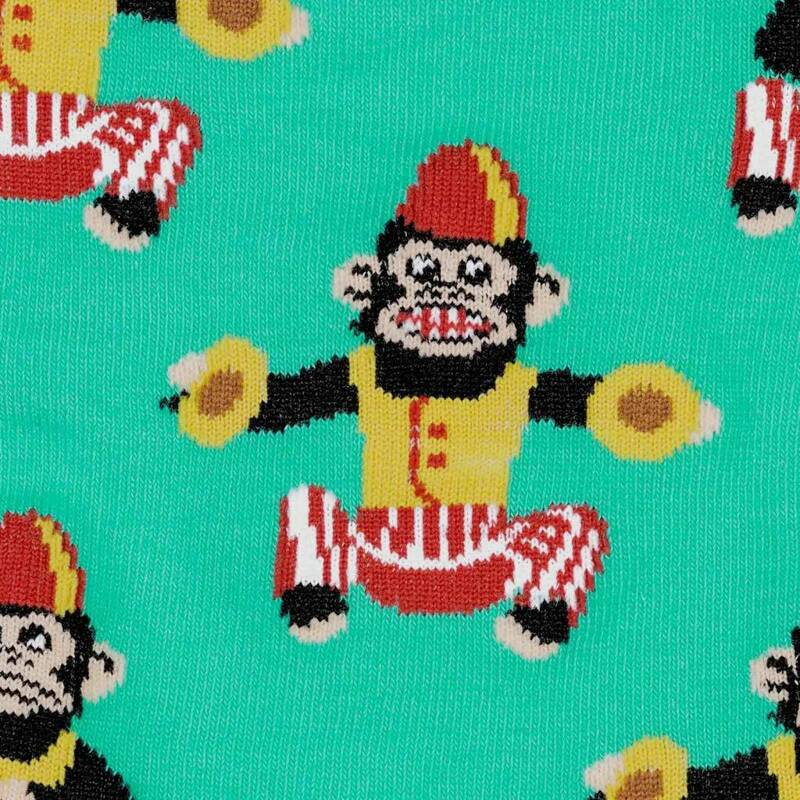 These socks cymbolize our inner child—banging on things, playing dress up, and general monkeying around. The bright colors demand attention, much like the sound of a cymbal being hit. It's all here on one sock to say: why be adults?